Easter Sunday is this coming weekend. What better time for brunch? 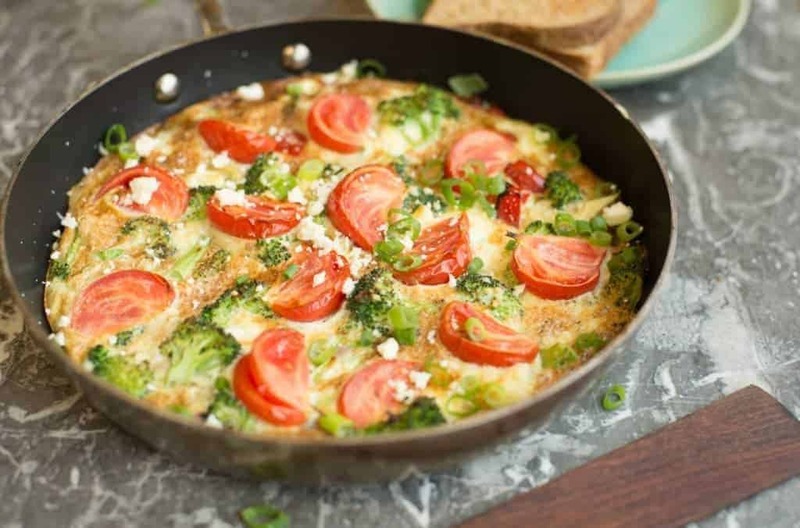 This healthy frittata may just be the perfect dish to serve your family and friends. It is easy to prepare for a crowd, is packed full of nutritious goodness – not to mention it looks like a burst of springtime on your table! It tastes as pretty as it looks, and you can feel good about eating it! Easter in our house is a celebration of Spring. The sun is finally starting to come out and the days are getting longer. This always inspires me to create healthy, flavorful, and colorful dishes to honor the awakening of the world around me after the long winter. No matter how mild or harsh your Winter, the first warm sun of Spring just feels great! What better way to enjoy that feeling than enjoying brunch with family and friends! ARE YOU TIRED OF THE SAME OLD BORING FOOD? Download my MOST POPULAR seasoning mixes and get some flavor in your life. These easy to store mixes are a must have to spice up your dinner game. Grab the FREE Download Today. This healthy veggie-filled frittata is perfect for brunch. Happy Easter! Happy Spring from us to you! May you have the chance to celebrate the season with the people who make your life rich! Why You Should Practice Intermittent Fasting. 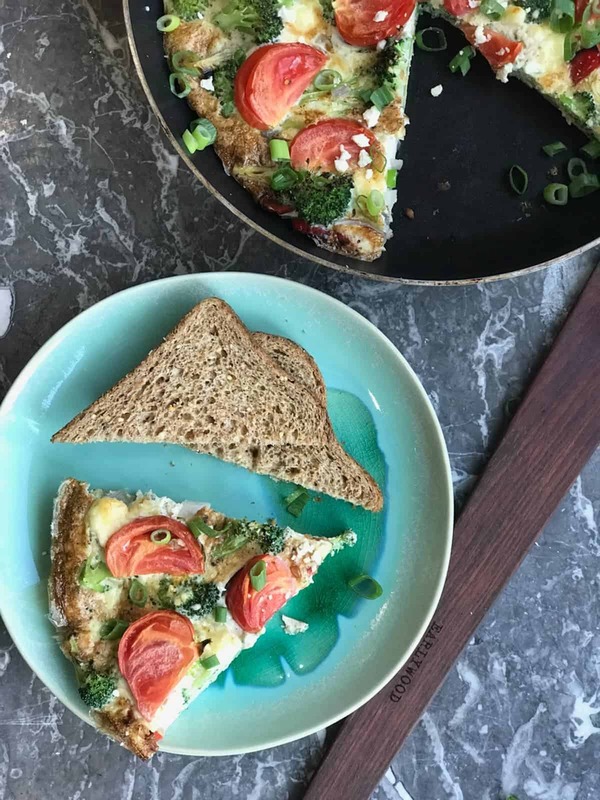 This super healthy veggie filled frittata if the perfect brunch dish. Chop the vegetables and get them ready to go. Combine eggs in a medium bowl and whisk to combine. Whisk in the veggies that you are using, with the exception of the tomatoes. Heat oil in a medium ovenproof nonstick skillet over medium-high heat. Add shallot; sauté until soft, about 6 minutes. Reduce heat to low. Stir in egg mixture. Cook until frittata begins to set, about 2 minutes. Slide the frittata onto a platter. Cut into wedges; serve hot or at room temperature. Add tomatoes and sprinkle on feta. Place in oven; bake until just set, 7-9 minutes. Slide the frittata onto a platter. Cut into wedges; serve hot or at room temperature.